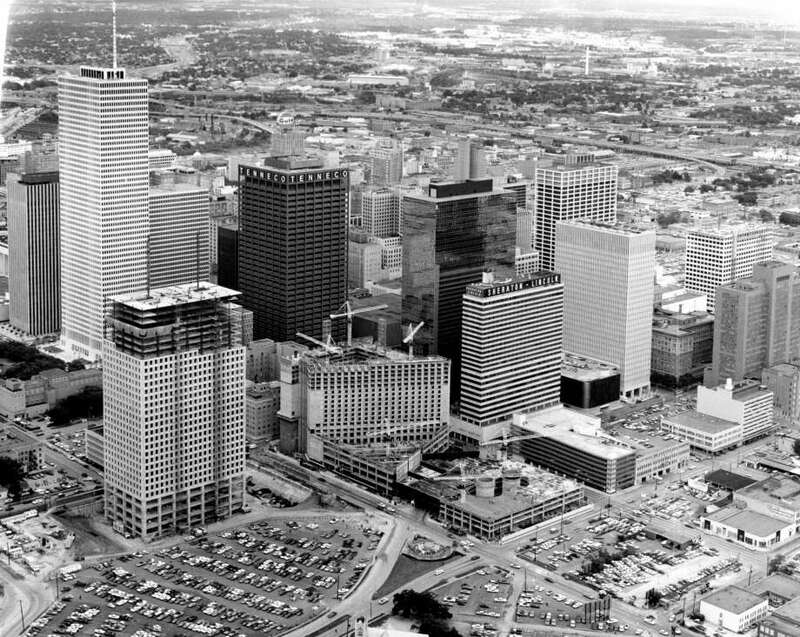 In Houston, there was a construction boom in the 1970’s and 80’s with hundreds of high-rise buildings adding to the skyline. Many of these buildings are still using the original mechanical systems for HVAC and pumping applications. Potential mechanical failure and energy savings are forcing building operators to choose between modifying existing equipment or replacing them all together. 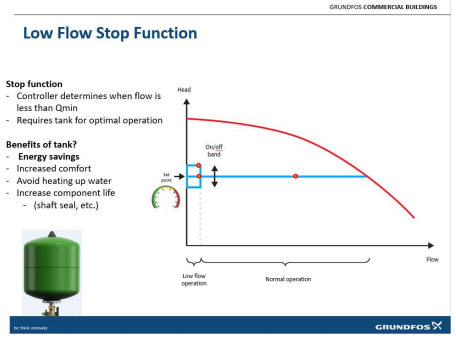 According to ASHRAE 90.1, Domestic Water Booster Systems must shut down during periods of no flow demand. Operating pump systems when there is little or no demand wastes energy and increases wear and tear on the pump and piping system. While this sounds simple, it is one of the most challenging control sequences for a Booster System. More than 60 years ago, the Late Dr. Roy B. Hunter developed a system for calculating water loads in commercial buildings. The estimated water demand of fixtures (water closets, sinks, etc.) 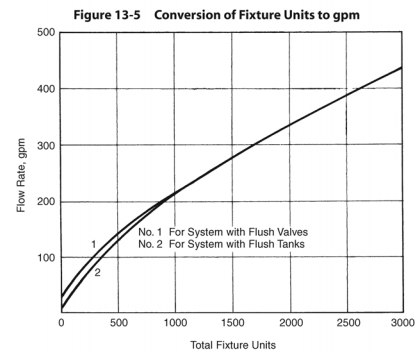 are given a value called Fixture Units which have an equivalent demand load in Gallons Per Minute (GPM). The Fixture Units and Demand Load relationship is known as Hunter’s Curve and is still the basis for plumbing system design today. In 2017 about 39% of total US Energy Consumption was consumed by the residential and commercial sectors. In a commercial building, HVAC Equipment (ie. chillers, boilers, cooling towers, etc) and Lighting are the biggest targets for energy savings, but the capital costs for improving these may be prohibitive. There are many opportunities for energy savings and building performance improvements with other systems in commercial buildings.